We live in a world of whistle-blowers -That’s why! Any hotel guest or restaurant patron is quick to leave a review, make a post and upload a photo…of a bad experience. Sadly, that’s the truth! How many people run home and post a review about a great clean dining or hotel experience – not many! But, we sure see a lot of david-downers and negative-nelly’s posting their rants about a less than stellar experience. It’s a social condition that we haven’t quite figured out yet. It’s an odd mindset of having to say something bad online but not address it directly with management. Even though we don’t know why people do it – we know it happens. In this day and age, it’s more important than ever to be diligent in your service to customers – bad news travels fast and good news seems hard to find. We can help you in one particular aspect of your business – and it’s an aspect we think is important to customer satisfaction and peace of mind. We want you to stay off the radar in the rodent department! The hospitality industry is steadily beat-down with a barrage of rants. 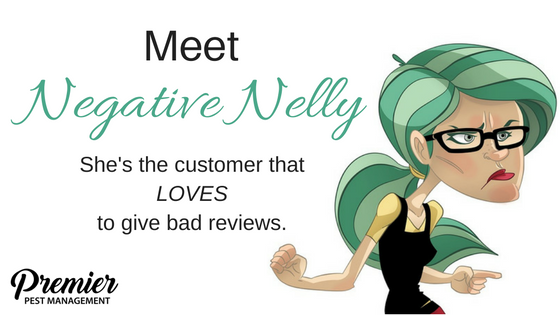 A bad review is expensive and works against your marketing efforts. Now we can’t help you with general customer service or day to day operations – but we can make sure that your business is rodent and pest free. The last thing you want is to see a picture of a bed bug or cockroach end up on trip advisor! You also don’t want to see mice or bugs end up on your restaurant review. Let’s be honest, hotels and restaurants have a high guest turn-over and pest issues are real – but they are also avoidable and detectable with regular monitoring and management. If you have pest issues, we don’t want your guests and patrons to be the first to know about it. So, we encourage you to allot a pest management fee into your monthly budget – just like you would for advertising or maintenance. It’s an invaluable part of taking proper measures to maintain your business. The best defense against pest problems is offence. We can help silence the negative nelly’s and keep you in the good books. Get in touch with us to see what we can do to keep pest management under control in your business, all year long.